About Us – SNL Jamaican Tours, Ltd. The SNL Jamaican Tours Ltd. team realized the importance of our guests, also, that you have choices, yet you chose us as your preferred choice for transportation/guide services. Therefore, with our expertise and professionalism we are committed to go above and beyond to deliver a service that will ensure your comfort and satisfaction, a service that is second to none. Our small team of friendly drivers and tour guides are very knowledgeable. We present you with safe drivers/tour guides who are uniformed, trained and certified by the Jamaica Tourist Board (JTB) to operate in the tourism industry. 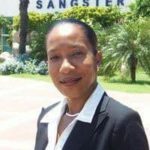 They understand the local area and the terrain very well and who will deliver the information with real Jamaican experience. At SNL Jamaican Tours, a large part of our business comes from our returning guests. We always aim to exceed your expectation. We will keep you coming back! We are a fully licensed, insured and certified company. We are not the biggest but, simply the best! The proud owner and Managing Director of SNL Jamaican Tours. 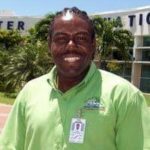 He’s always eager to share the Jamaican experience and the extensive history of Jamaica with his clients. Feel free to contact him at anytime of your convenience if you need assistance. Natalia is the Operations Manager she plays the vital role in ensuring that our day-to-day operations run smoothly. Natalia craves your indulgence and is looking forward to hearing from you.